Stoke-on-Trent has benefited greatly from its listed buildings and conservation areas over the past few decades. The designation of a conservation area has sometimes been an effective way of making improvements and triggering regeneration and investment. Some conservation areas have attracted grant schemes, funded by English Heritage, the Heritage Lottery Fund and others. 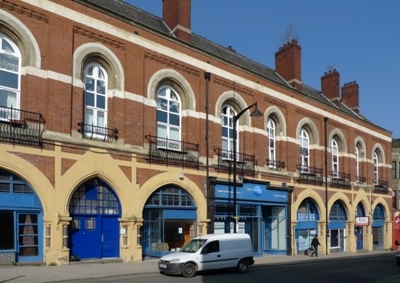 F or example, in Burslem, grant schemes have helped to create new affordable housing and new units for small businesses, creative industries and charitable organisations. At the same time, the historic character of the town has been conserved. However, there is still much to do in Burslem. Grant schemes and other funding have also helped to improve the Trent and Mersey Canal, The Caldon Canal, The Villas, Hanley Park, Short Street in Longton and St Peter’s Churchyard. Residential conservation areas help to conserve local character and add to the choice and quality of housing on offer within the City boundary. These include The Villas, St Christopher’s Avenue, Hartshill, and Victoria Place in Fenton. Some conservation areas, such as those based around the canals, are a focus for dramatic change and regeneration. Similarly, listed buildings accommodate a range of uses and have sometimes accommodated projects that have delivered substantial benefits to Stoke-on-Trent. The Hot House in Longton is based in three historic buildings including St James House, the Rosalyn Works and the Sutherland Institute (the latter two are listed buildings). These provide space, advice and support for small businesses, helping to regenerate an area of industrial decline. The Burslem School of Art is a grade II listed building, providing affordable accommodation for a mix of small businesses, charitable organisations and public sector bodies. The Victoria Hall and Regent Theatre in the City Centre, both listed buildings, provide international standard performance venues, helping to support the City’s evening economy. Sites like the Etruscan Bone Mill, Ford Green Hall and Harecastle Tunnel on the Trent and Mersey Canal help to attract visitors and support tourism in the area. There is substantial evidence to show that the quality of the built environment, old and new, including buildings and spaces, fundamentally affects an area’s attractiveness as a place to invest, to live, to work and to spend leisure time. It also affects an area’s ability to attract better paid employment. Therefore, it is important to conserve Stoke’s historic areas not just for their heritage value, but because they are good for the local economy and they add to the quality of life of local people.